A few weeks ago my sister moved to London and she found a shop in her local mall selling lots of nail polish of a brand she didn't know - Kiko. She posted me one to try out, and it's so pretty! It's called Blueberry Glitter randomly, as it's clearly pink. 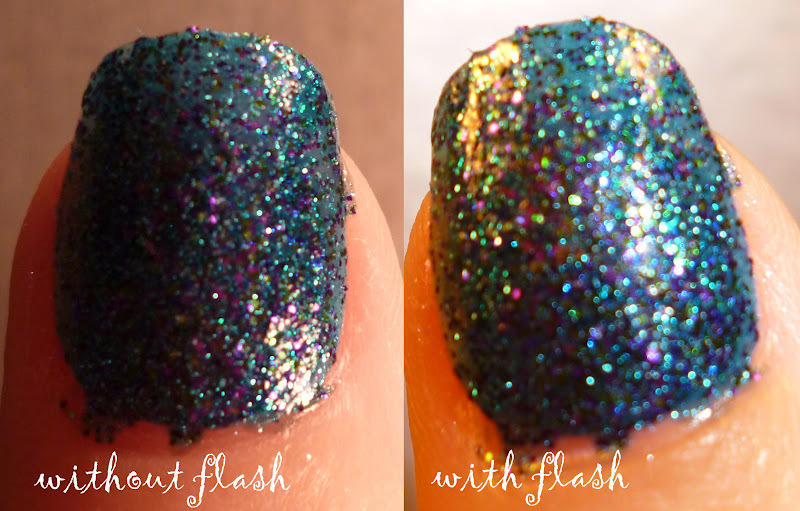 No flash on left, flash on right. Colour with flash is more true to life. It's a lot more subtle a glitter than my usual type, as it's a fuschia pink base with pink shimmer rather than solid glitter. It's so pretty though and such a gorgeous colour! This is two coats, it goes on evenly with a wide brush and dries quickly. So far I've had it on three days with no chipping. I'm pretty impressed with this wee polish! Best of all, it was only £3.90. Sweet. You can shop online here. They have a large range of nail products -and- make up, so I think I'll be giving stuff a go next time I visit my sister! 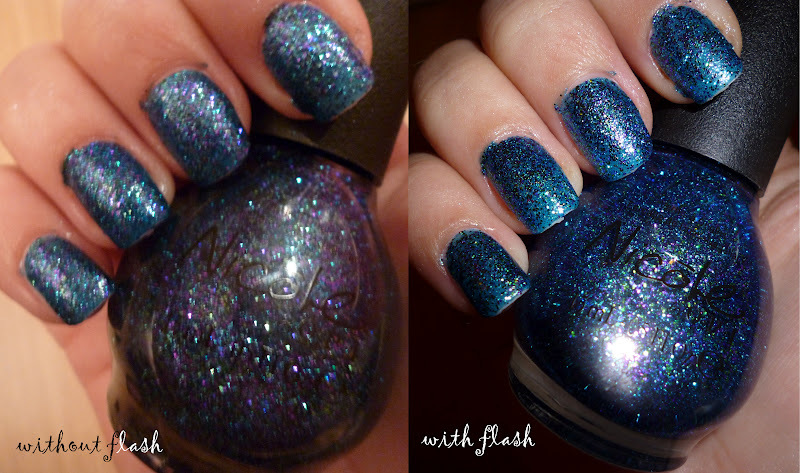 Do you like this nail polish? Or are you over glitter haha? Have you heard of/used this brand before? 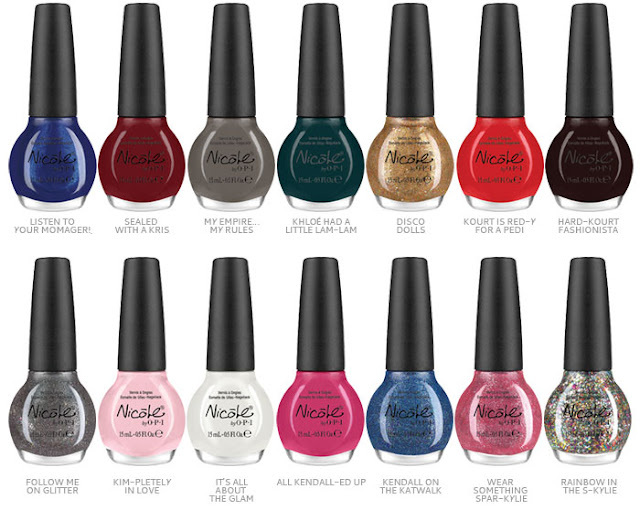 You may know of Nicole, the little sister brand of OPI, which offers OPI quality for a slightly cheaper price. Well, recently the Kardashian clan have collaborated (wow, try saying that ten times fast!!) with Nicole by OPI to release their own Holiday Collection nail polish shades. There are 14, which includes some glitters. The full collection was released in America in November and I looove them. I mean, OK, I am one of those people that actually really liked the Kardashians so liking their nail polishes wasn't going to be a stretch for me. But even if you're a hater, I defy you to hate on these shades!! They have recently became available in the UK, in the last month or so. 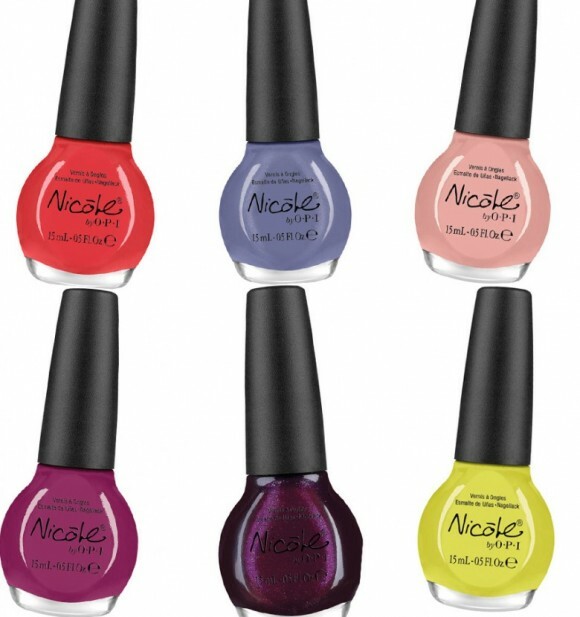 You can buy some shades from ASOS for £9 each, however I saw on Twitter that OPI stockist Lena White had a 15% off discount code available, so I checked out her site and low and behold, the Kardashian Kolors Kollection is stocked there for £9 each, £7.65 with discount, plus I think £3.95 p&p. After a LOT of perusing, I picked up four - Kendall on the Katwalk, Kim-pletely in Love (oh, the irony), It's All About the Glam and Follow Me on Glitter. Yes, they do all have the completely cheesy names. After a bit of googling, I've found you can buy them from Chemist Direct for only £6.99 with free p&p - bargain!! This was actually the one out of the collection I wanted the most! It's a gorgeous pearly shade, with iridescent blues and pinks when it catches the light. Sorry about the messy application with this one! The camera wouldn't pick up the gorgeous shimmer in this but trust me, it's there. I can't wait to rock this in summer with a tan! The only problem with this is it's very sheer, this is three coats applies and I still don't think it's completely opaque. This is a gorgeous pale pink, it doesn't look like anything amazing at first, but when it catches the light it has beautiful shimmers of pink and blue. It's so pretty and girlie, I love it! Again, my camera and the lighting struggled to capture the shimmery pinks and blues but you can see it a bit in the bottle. This colour pooled at my cuticles a bit when I applied it, and took three coats to get opaque. Wow wow wow! Now I love glitter polishes, but I have nothing like this! 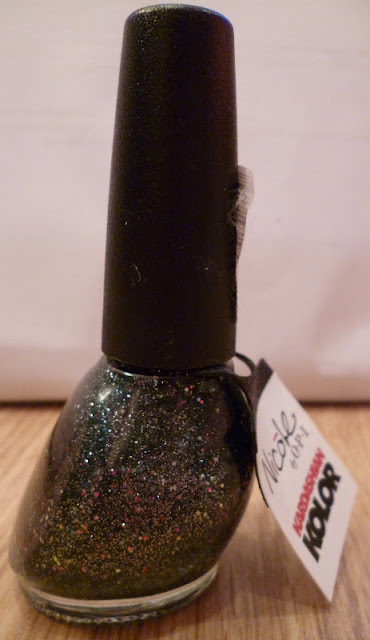 It's a black base with silver micro-glitter pieces, which is pretty cool by itself, but this also has the slightly larger multicoloured glitter in it. These bigger pieces catch the light to show aspects of gold, red, green, blue, orange and pink! So beautiful, I feel like this is a more 'grown up' shade than I normally wear, but the tiny pieces of multicoloured glitter still make it very 'me'!! I used three coats but two would have been fine. The finish is slightly rough, so if you don't like that a top coat may be a necessity. Holy moly. I honestly think this is THE most beautiful combo of colours! I feel like I'm underwater haha! The base is a turquoisey blue, and there is a mix of tiny glitter and bigger glitter pieces in shades of green and blue to create this masterpiece! I can't fault this one, I love it!! This was the same as Follow Me on Glitter, I used three coats but could have used two and a top coat is probably recommended. 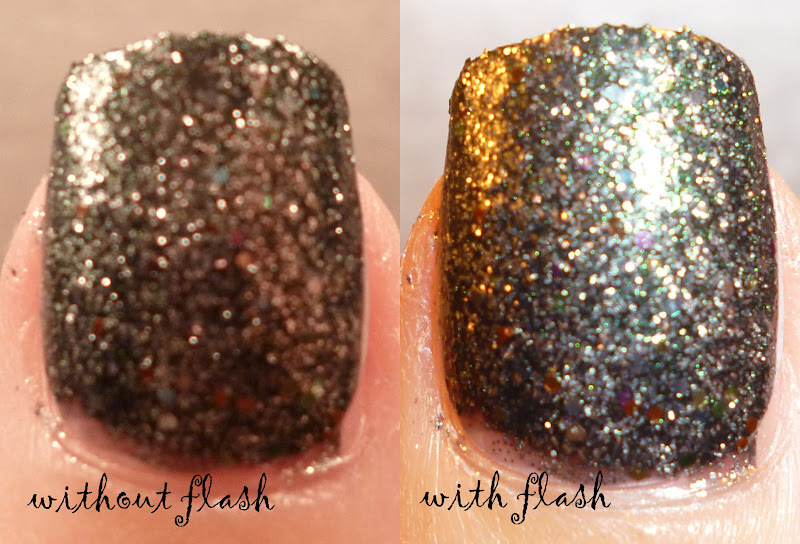 You can see a little better in this the iridescence in Kim-pletely in Love and All About the Glam. Beautiful! The application of these were easy and very quick drying. The brush is nice and wide, so it goes on quickly and removal was also not too bad, the glitters obviously took a little longer but not by much. I'm not yet as excited about these ones, but we'll see! So what do you think? Yes, I paid a small fortune for these but for £6.99 would you try any? I love them all!! I've been wanting HD Brows for a while. Not just the little set that every girl and her beauty box has, I mean the full, 7-step, salon experience. You're meant to grow your brows out to get the most from your experience, so I did that before Christmas and then couldn't get an appointment anywhere so had to just get them threaded! This time, I made sure I booked my appointment well in advance. You can find out more, and watch some videos, on the website here. 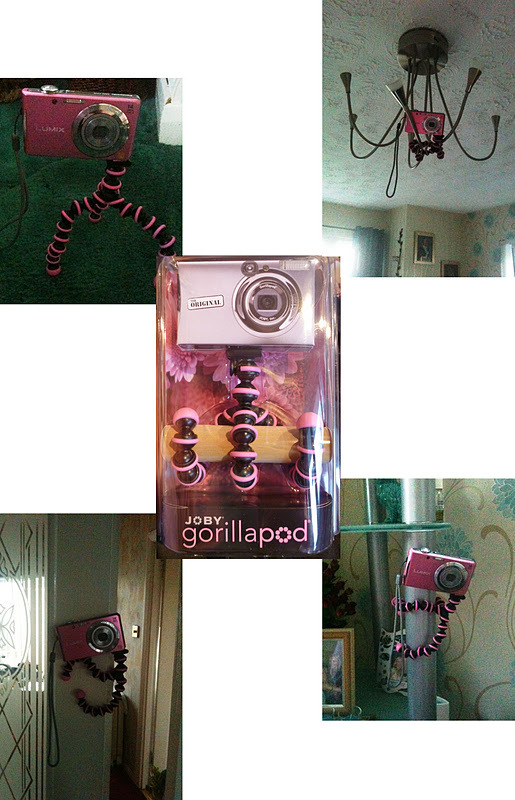 It normally costs about £25-35, but because I am skinto I managed to get it on a Groupon for a tenner. Bargain. Please remember I was growing them in for this!! Aargh. 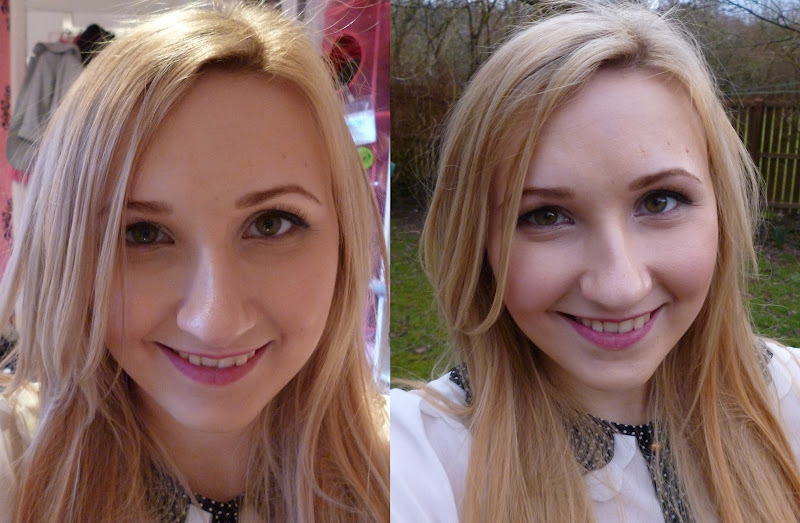 My problem is not only are my eyebrows a horrible shape, they don't match, and they're also too blonde. I wasn't exactly wanting a Scousebrow but I wanted them to define my face and right now they just get kinda lost there! It took about half an hour, which went by quickly considering the different procedures. The girl asked how dark I wanted, I said a few shades. 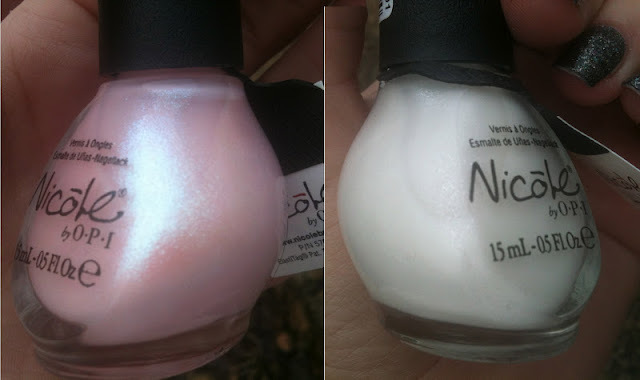 Her idea and my idea of a few shades are very different. My brows are BLACK haha. What do you think?? I'm a bit scared of how dark they are, but I'm happy. It'll take a while for me to get used to them, that's for sure! The beautician explained that it can take a few sessions before the eyebrows really take shape, but I don't know if I can afford to keep this up. We'll see. I'm also not sure whether I technically had 'HD Brows' as she didn't do the waxing step, but did everything else. However, I'm pretty sure asking for a brow shape/tidy and tint would give you a really similar result but for a fraction of the cost, I don't know if I really need tweezing/threading/trimming/waxing every time! Have any of you had HD Brows done? 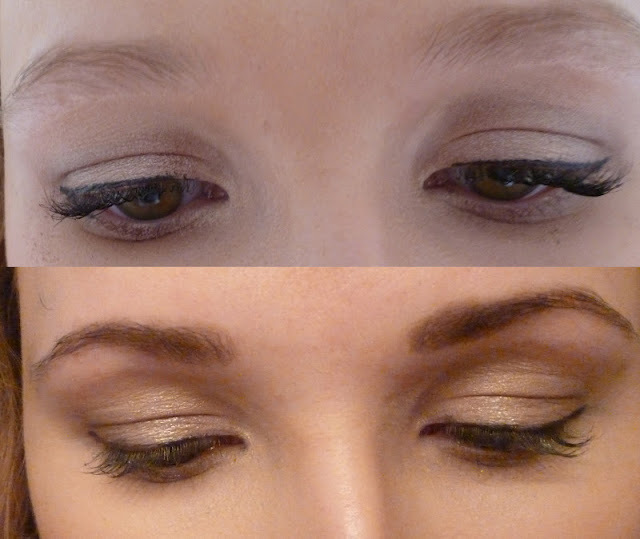 What is your preferred method of brow maintenance? Do you think HD Brows are worth the money? Warning: this is a moany post. 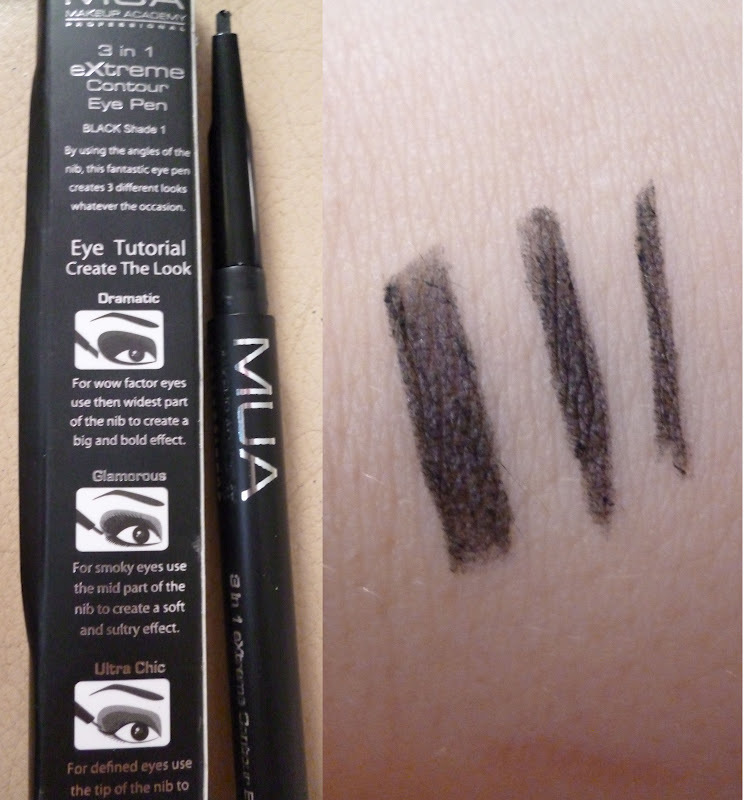 Let me introduce you to my BEF - Best Eyeliner Friend. This little eyeliner has been with me through thick and thin for about five years. 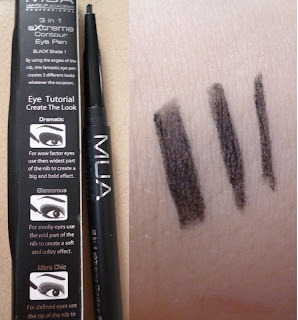 It's been the only liquid eyeliner I have ever used, and I have never needed to look elsewhere. This little beauty did it all. It glided on like a dream, stayed put until I wanted to remove it, was so easy to control and the colour was devine, a silky black. 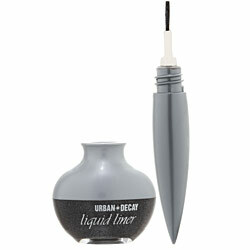 Behold, Urban Decay 24/7 Liquid Eyeliner in Perversion. Now, don't get me wrong. I am a HUGE fan of Urban Decay and their products. I own two Naked and one Naked2 Palettes, use their primers, their lipsticks and their mascaras, and even attended their Naked2 Launch Night last week. The reason I am so annoyed with Urban Decay is the sneaky, and frankly unethical (in my opinion), way they have went about their repackaging. The old packaging retailed for, I believe, £13. For this you receieved 7.5ml of product. One of these babies could last me a good few months! The new packaging is £14. For this, you receieve a MEASLY 1.7ml. How are they getting away with that?? Even if I remember the price of the old packaging slightly incorrectly, you are still losing out on nearly 6ml of product! I've been trying some felt tip pen style eyeliners, and I'm actually quite enjoying them. Does anyone have any recommendations of a great eyeliner for me to try?? 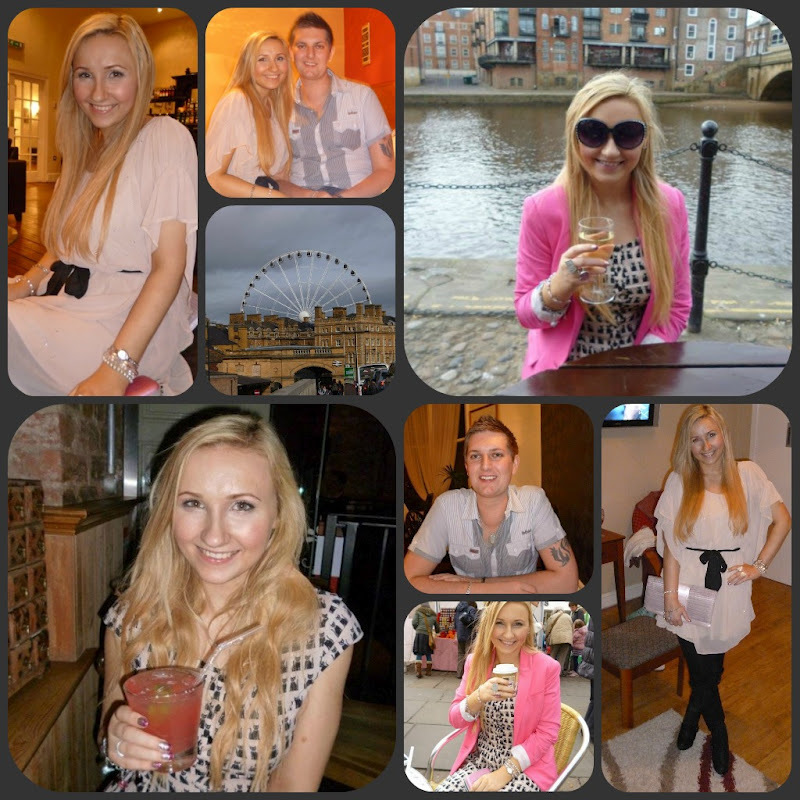 On a brighter note, my boyfriend Scott and I celeberated our 7th Anniversary on Valentine's Day (cheesy I know). We're away to York just now as a treat (hello, scheduled post!! ), so for actual Valentine's we decided just to have a wee night in. We made our favourite meal - tuna pasta (NOM!) - and got some wine. So any recommendations for my eyeliner issue? Do any of you use the Urban Decay one? I was contacted recently by a John Frieda PR to see if I would be interested in recreating one of the styles they demonstrate on their YouTube tutorials. I checked it out and there were several tutorials I was interested in, such as the 1940s updo and the Body Blow Dry. As soon as I saw California Waves though, I knew that was the one I wanted to try! You can check out all their tutorials here. They're really good, it shows you the models trying to create the styles themselves rather than just a hairdresser creating it for them as is often the case - we don't all have a live in hairdresser after all (I wish!)! (L-R) Frizz-Ease Dream Curl Styling Spray, Frizz-Ease Secret Agent Perfecting Creme, Anytime Volume Refresher and Frizz-Ease Miraculous Recovery Intensive Masque. And here are my step my step results! Spritzing on the curling spray (look at that concentration - I need an anti-wrinkle cream on that forehead!!). 'Scuse the lack of make up also! Lion hair after I just rough dried it upside down. I am looking terrified/psychotic for good reason. All curled, scrunching Secret Agent Perfecting Creme into the ends and breaking up the curls. So what do you think? I know it's a bit tighter, I think that's cause of the curlers I used. Is this a look you would try? I got a text message (random) a few weeks ago inviting me to Glasgow Debenhams Urban Decay Naked2 Launch Party - catchy!! Of course I already have Naked2 as I bought it online as soon as it was released, but I thought this might be fun. So I contacted another Scottish blogger, Gill from MakeUpTheNight to see if she'd go with me (big scardy cat haha)! Gill and I both ended up purchasing a Super Saturated High Gloss Lip Colour (available online here for £14) in Adrenalin. They are Models Own Pink Fizz with Models Own Magenta for the tips, sealed with Seche Vite top coat. Hope you're all having a lovely week, haven't blogged much this week cause things have been hectic. What do you think of the 'crayon' style of lipsticks? And what do you think of my nails? Too much haha?? I know, I know, MUA has been around for ages and has long been a favourite of beauty bloggers. There's so many things that I've read about and wanted, but I've not got any particularly large MUA stands near me so they don't have any of the things I've lusted after. Until, dun dun duuuun! I discovered a big stand in the Superdrug in Sauchiehall Street, Glasgow. I managed to pick up the Heaven & Earth Palette (even though I have two Nakeds and a Naked2) and also the Primer and 3-in-1 Contour Pen. I'm sure you've all heard the comparisons between Naked and Heaven & Earth so I won't go into that, but I do know the shades are similarly gorgeous colours and very pigmented. I'm not doing swatches, as I'm going to keep this for part of a wee giveaway I think. But it's preeeetty. I was actually looking for the eye primer, but couldn't see it, so face primer it is. This is something I've been researching into a lot recently. I currently use 17 Photo Flawless Primer but it's a tiny tiny tube and has nearly run out, so I was looking for a new primer. I had my eye on either Smashbox Photofinish or Stila One Step, but this little MUA one will hopefully do for now! It was much more liquidy than I expected, and doesn't leave that delicious velvety finish that my previous primer did. 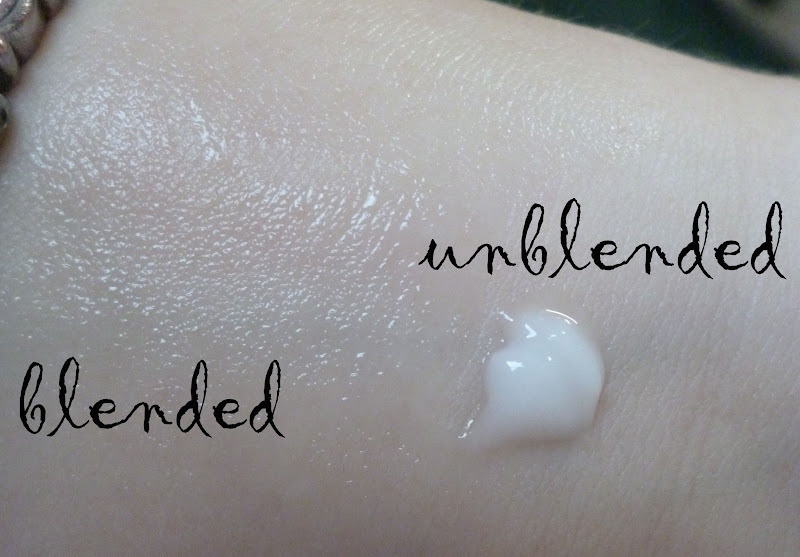 However, it absorbed well and left my skin feeling smooth and soft. I've not had a chance to test longevity yet, but I'm hopeful as MUA products all seem good value for money. As you can see, the shape of the nib allows you to control the thickness of the line, which is pretty cool. Unfortunately it's not very pigmented so these lines have been gone over twice. It also seemed to smudge quite easily, but that was on my hand. I'll try it on my eyes and let you know! MUA Heaven & Earth Palette (£4), Primer (£4) and 3-in-1 eXtreme Contour Eye Pen (£1.50) all available instore at Superdrug or online here or here. What do you think of my very first MUA products? Did I pick well? What else should I try? 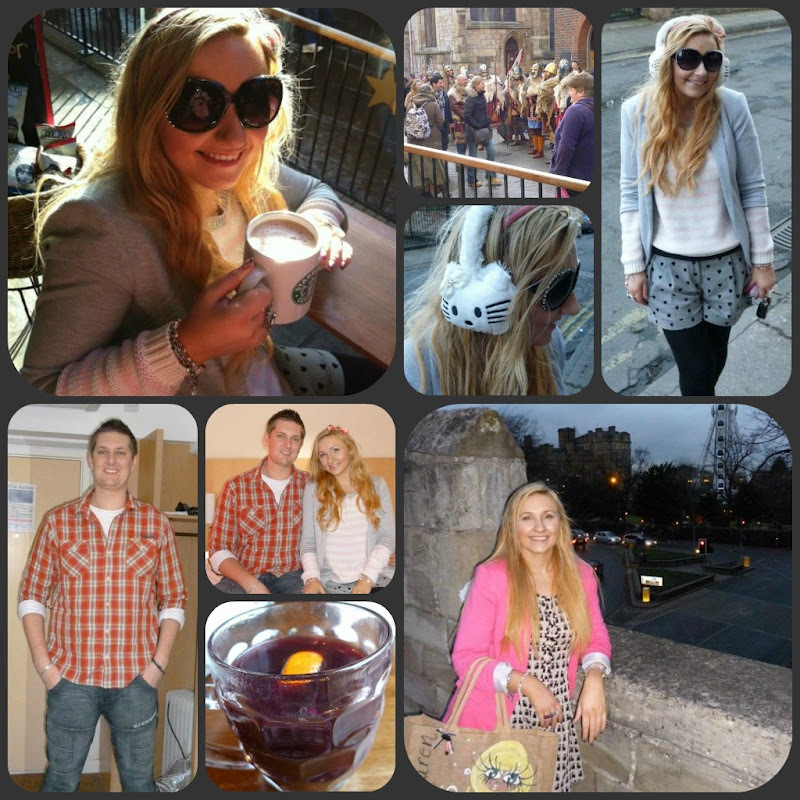 A little OOTD for you today, featuring my lovely little bargain skirt from Primark! It was the only one left, and it said it was a tenner but scanned up at £3. Perfect. I've liked the whole Fair Isle trend over Winter but because I tend to wear what suits me rather than just follow the fashion, I was worried about investing in something and then looking 'so last season' because I'd probably wear it year round. Ha. So this little bargain skirt was perfect for me to dip my toe in! I used my Gorillapod to take these photos, my first real attempt with it! The top is from New Look last year, and the tights are from Primark. 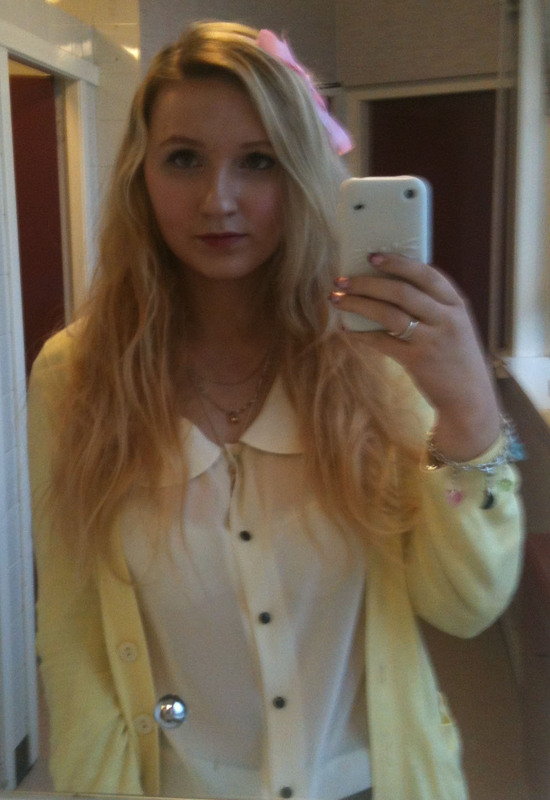 I'm going through a 'ribbons in my hair' stage just now; just ignore it haha! No idea what the pink thing is under my chin! Lips: Revlon Super Lustrous Lip Colour in Coral Reef.